When I heard the news, confusion, excitement, delight, and (as embarrassed as I am to admit this) jealousy erupted all at the same time and my hands shook. 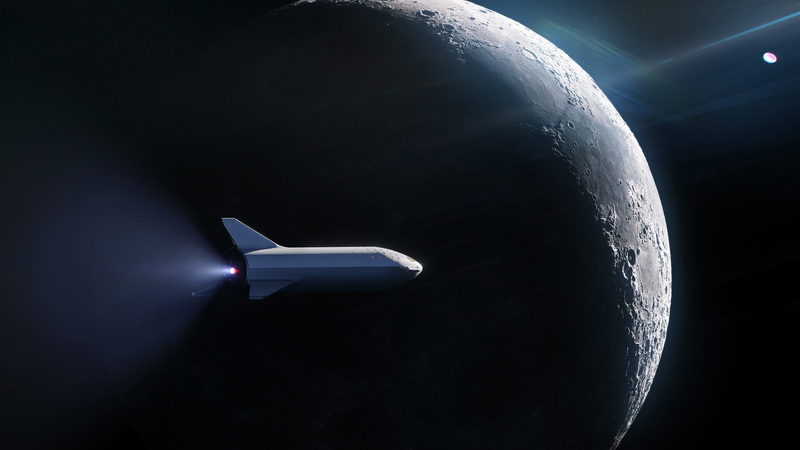 Yusaku Maezawa, founder and CEO of online fashion retailer ZOZO, was presented to be the first paying customer to hitch a ride to the moon with SpaceX’s Big Falcon Rocket (BFR) led by Elon Musk. The Japanese entrepreneur and billionaire is famous for his art collection. He recently made a successful bid, spending $110.5 million on Jean-Michel Basquiat’s artwork. Maezawa and his use of money has been extraordinary; furthermore, he is willing to present himself as an individual despite being the head of his company. Therefore, it wasn’t surprising when rumors came out. 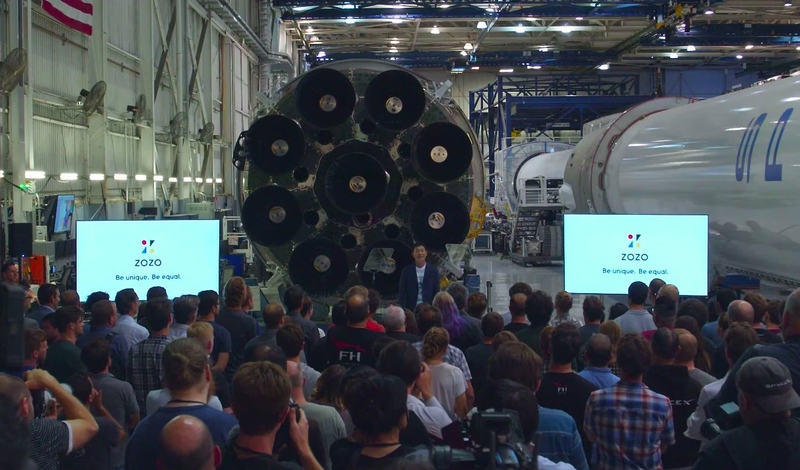 But when I watched his presentation through SpaceX’s YouTube LIVE, I was shocked and had tears running down my face. For him, a luxurious trip to the moon is not his goal. The journey is only a means to create new art. what kind of paintings would he have drawn? what kind of songs would he have written? Maezawa will bring six to eight artists along with him on the flight so that they’re inspired to create unique artwork that reflects their adventure. He is calling the project #dearMoon. Throughout history, wealthy nations and individuals had the power to produce art and its culture as clients and patrons. Like the Great Pyramid of Giza (also known as the Pyramid of Khufu) that was constructed around 2560 BC, or like religious paintings and architecture that spread various religion to the masses, great art was created as a nonverbal means to express power and ideology in places where people didn’t share a common language, or even in places where people didn’t read or write. Today, the need for such “massive-scale artwork” is shrinking due to decentralized power. People now enjoy and share daily happiness through various social media outlets. Art, in fact, has been subdivided into numerous genres and it feels as if mankind has lost a common interest. Of course, this trend is nothing negative. Nevertheless, “who will become the first private citizen to take a flight around the moon” is an exceptional topic even for people like me who are unfamiliar with science. I was very curious to learn who will take the groundbreaking seat and how he or she will use the opportunity. That someone was Yusaku Maezawa. Fortunately, it seems that this project will not end as a wealthy man’s luxury vacation. Well, to be cynical, we can say that this is the most luxurious vacation that only a billionaire like he can take. He will be traveling to the moon with respected artists and watch their inspiration shine at the front-row seat. There would be no experience more luxurious than this, especially for an art fanatic like him. To note, this journey is not about landing on the surface of the moon but going around it. Thereupon, the selected artists will experience roughly two things: a life in zero gravity, and the chance to watch Earth and the moon as a sphere with their own eyes. Nonetheless, the most valuable aspect of this project will probably be the fact that this project consists of six to eight artists that travel together. The band of artists collected from all over the globe will spend quite some time together in the BFR. These artists will interact, share one another’s dreams, and develop a deep relationship. 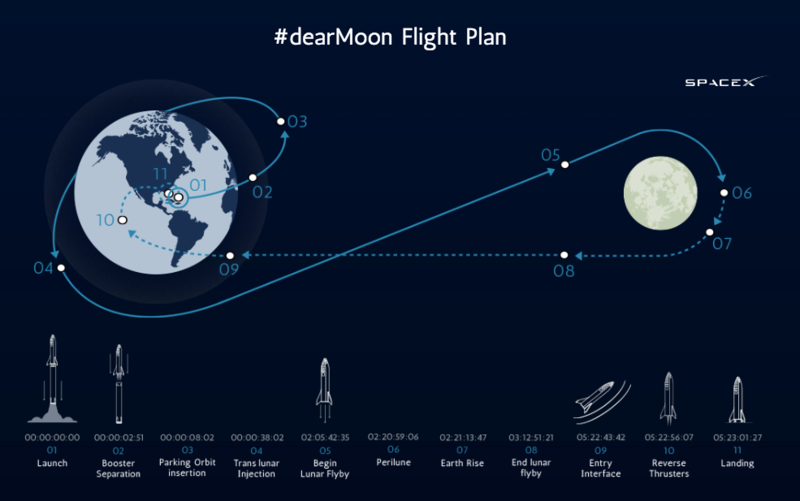 Such a grand experience may be the most meaningful aspect regarding this journey to the moon. Maezawa cleverly, at the beginning of his speech, introduced his company ZOZO. Although this project is something he is running on his own, ZOZO will now be drastically recognized at the global scale. This may be the start of him building his own modern pyramid. Indeed, there is no better way today to promote your business and present your power to the world than this project. Nonetheless, the selected foremost artists will have the freedom to be creative as they are not simple laborers for pyramid construction. Maezawa, having no clue of the actual output these artists will provide, is betting his money and life on it. He is crazy. There will be, without a doubt, numerous artists who will try out for this way too cool “promotion” project. I am typing while my hands are shaking due to the scale of the whole story. New York, the city I currently live in, has just passed 11:00 PM. Personally speaking, I wanted to support the residency of Japanese artists and creators in this city that is full of opportunities. Just until yesterday, a 19-year-old fashion designer was staying at my apartment. How she absorbed the fashion scene of New York with her shining eyes made me jubilant too. There are numbers of scholarship programs for studying abroad but the process of filling in countless documents seems like a hassle for a person like me. I was thinking about a modern residency program that used the Internet at its best. Such a program can provide an opportunity for Japanese artists and creators; furthermore, I can perhaps be at the actual scene when a future masterpiece is created. However, is my dream relevant when there is a person that is asking artists to go to the moon together? It was as if I was hit hard on the head. 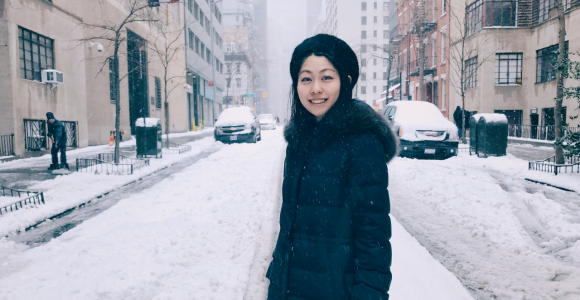 Maybe the idea to study abroad in New York to become a first-rate creator is already outdated. To be honest, I am mortified. We already have the technology that can take us to the moon; that is the coolest way to support creators as a patron. In art textbooks of the future, this event will undoubtedly be written down alongside the name “Yusaku Maezawa.” I wonder what kind of artwork will be printed there – oh, the possibility! Some people are wanting to see ballerinas dance in zero gravity. Although we do not know whether this performance will be categorized under the definition of art, our imagination has been undeniably triggered. All in all, this adventure does not guarantee participants to safely come back to Earth. Regardless, Maezawa chose to go out in space with his fellow artists. If this project was launched in 2050 and traveling to the moon has become normal, we would not recognize today as historical. One’s achievement is in proportion to the risk he or she took; yet, in reality, people cannot easily encourage others to take risks. 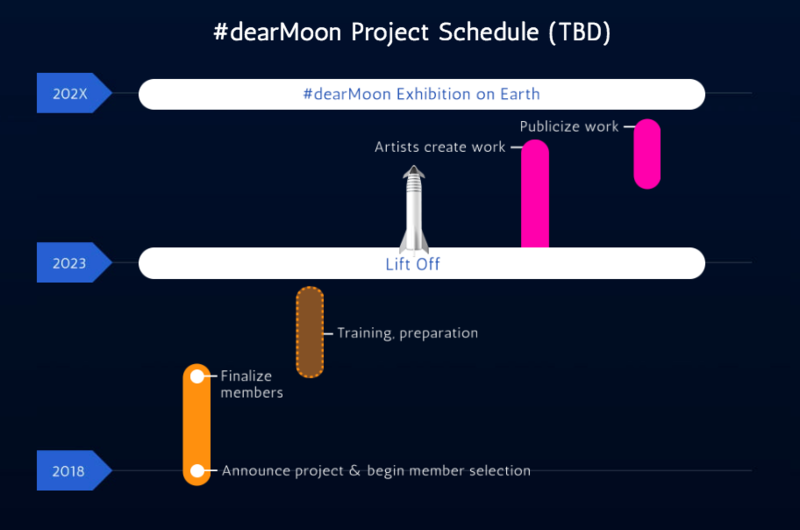 By 2029, the exhibition for project #dearMoon will take place somewhere on Earth. Sadly, we will most likely not meet aliens while we are alive. But luckily, we have the chance to encounter great artwork. Such a piece of art will enrich our imagination and prove to mankind (and also aliens) of the future that we have existed. I am sincerely thrilled to live in this era that is rich in technology and art.